I am not a morning coffee drinker. I am social coffee drinker. If everyone wants to stop for coffee, I'll get one too. I worked for Starbucks for more than 4 years after college and before I stepped foot in the place to submit my application, I'd not been inside one. Before I began working there, the only thing I knew about coffee was how to spell it. Over time, I became a manager, a certified Coffee Master and I conducted monthly seminars on how to home-brew the best cup of coffee possible. The Coffee Master certification involved extensive study of origin coffees, coffee flavors, coffee pairings and methods to better connect with customers. Since I've left the company, I've not really had reason to drink coffee. Until now. Now until September 27, Keurig will host a series of samplings, brewer exchanges and giveaways throughout the Triad area in Greensboro, Winston-Salem and High Point. Keurig is the nation's leading single cup brewing system. They offer over 250 coffee, teas and hot chocolates varieties in their K-Cups. They brew in less than a minute. And I can still drink Starbucks if I feel so inclined. Trade Up to a Keurig Brewer Events: Drop off your old drip coffee machine and exchange it for a BRAND NEW, FREE Keurig single cup brewer. Events are open to participants 18 years of age or older with proof of North Carolina residence. Only non-Keurig, used, electric brewers are eligible for trade-in while supplies last. For more information about sampling event dates and locations, visit http://www.keurig.com/triad. 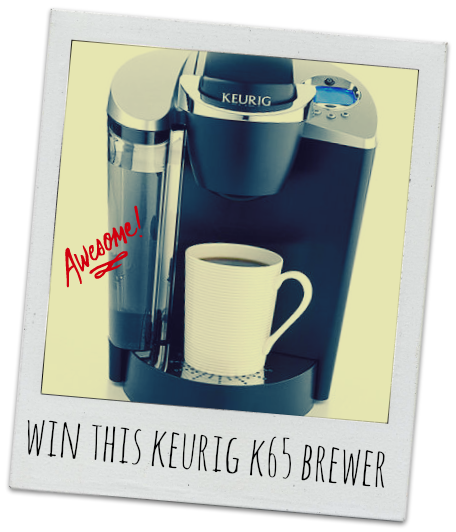 Available for EVERYONE--even if you don't live in North Carolina, you can enter to win this BRAND NEW, FREE Keurig single cup brewer if you follow the directions on the Rafflecopter below! I love drinking coffee any time I can sit out on my porch and enjoy it. Some days that's the morning but most days it's when I get home. No idea what K-Cups I'll get; I've never looked at them too much since I don't have a Keurig (yet, I hope)! I'm a first-thing-in-the-morning coffee drinker. I'm looking forward to some pumpkin-flavored coffee in my cup! I have to have a least one cup of coffee right when I wake up...my favorite is anything pumpkin flavored! I like coffee anytime, and flavored brews are my favorite. love the brew Over Ice new kcups too! I like coffee any time, but only drink decaf in the afternoon or later. I really love the eggnog and gingerbread k cups. I enjoy a caramel cappuccino in the morning. I drink coffee almost all day long, but I especially enjoy it during my morning break at work. I'd like to try the wild mountain blueberry k-cups. I drink a cup in the morning and usually around 2 when I start to have a slump! I'm looking forward to trying brew over ice :) I love iced coffee! I love to start my morning off with coffee, especially pumpkin flavored coffee! Coffee is the favorite part of an early morning for me on the days that I need to get up before 5 am. I'd love to see K-cups with coconut cream-flavored coffee. For Andy Brown: We both enjoy coffee first thing in the morning and looking forward to the Tim Hortons kcups! I love coffee any time of the day or night. I'm looking forward to the "holiday" kcup flavors! I get out of bed in the morning for a cup of Caramel Vanilla Cream from Green Mountain Coffee! What a cool program...too bad I don't live nearby. But I will gladly enter your giveaway! :) My favorite time to drink coffee is anytime I really need to wake up. And probably a flavored coffee because the ones that taste a little like desserts are the ones I like. PS. 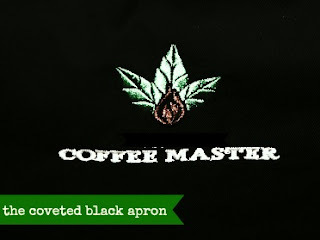 Had no idea there was such a thing as a coffee master! Just don't pick me. I have one. Plus one to give away :) But let's have a cup together!!! I love having coffee in the mornings and in the evenings. I really want to try out the hazelnut flavored cups! If I win this coffee maker, it'll be the first coffee maker I've ever owned and the FIRST time (I am 47) I will have ever tried coffee! Shhh! Don't tell anyone but I've never had coffee! I grew up in Germany hearing people talk about how they "needed" their coffee and complaining about how "hooked" they were on their coffee... So I equated coffee (with crack?) with someone I never wanted to get addicted to. HA HA! Love you - Thank you for the give-away! I love coffee in the morning! Keurig is having a similar event here! In the evening -- and I am looking forward to trying the "Brew Over Ice" K-Cups! I drink coffee every morning and I love the french vanilla. I wouldn't be able to wake up in the morning if not for my tall cup of coffee! Despite that, my favorite time to drink coffee is in the after noon, right around 2:00. It's calmer, more contemplative, and somehow more restorative. Wow! This is a fabulous opportunity for a young teacher, such as myself, to actually own a coffee maker. I'm crossing my fingers and toes! Thanks for Nikki for this opportunity! My family drinks coffee all day long! If I win I'm looking forward to trying DonutShop & the Peach Iced Tea! I could really use some coffee in my life this morning. I'm so sleepy after a great Labor Day Monday! Fingers crossed again! First thing in the morning and mid-afternoon with whipped cream on top. I love that I can have a cup of coffee in a minute with the Keurig if I win. I like to drink coffee in the morning to wake up my body. I'm looking forward to trying "Butter Toffee Coffee",it sounds appealing. I love drinking coffee in the mornings. I'd first try some dark roast blends. I need a cup almost every morning to get my work day started. I love the French roast coffee. My favorite time of day to drink coffee is first thing in the morning as i'm trying to wake up! I'd like to try French Vanilla! Italian Roast Extra Bold Coffee. I drink coffee with vanilla creamer in the morning at work. If I won this, I would love to try the Brew Over Ice teas. I love drinking coffee right in the morning. I really can't start my day without it! I like coffee in the morning and want to try DonutShop coffee.